Find fun things to do in Klamath Falls, OR. View our list of attractions, activities, events, restaurants and visitor information. 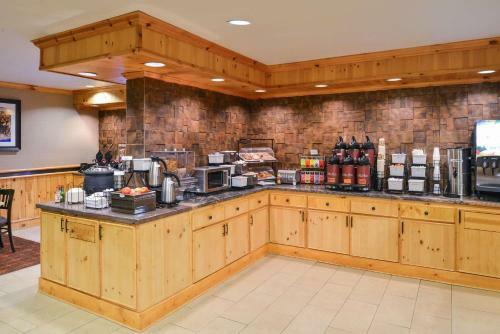 Wi-Fi access continental breakfast and around-the-clock coffee make the budget-friendly Americas Best Value Inn Klamath Falls a smart choice for our guests. With Wi-Fi Americas Best Value Inn makes it easy to keep in touch with your friends and family back home. 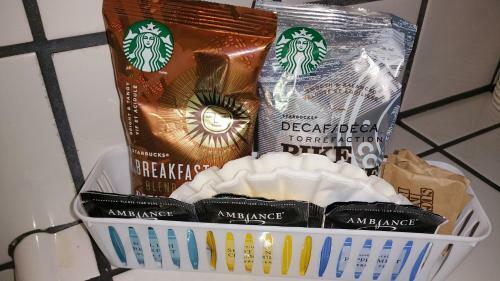 Free Breakfast, Pets Allowed, Non Smoking Rooms. A pretty outdoor pool a well-stocked fitness room and freebies like Wi-Fi access and breakfast make the non-smoking Best Western Plus Olympic Inn hard to resist. 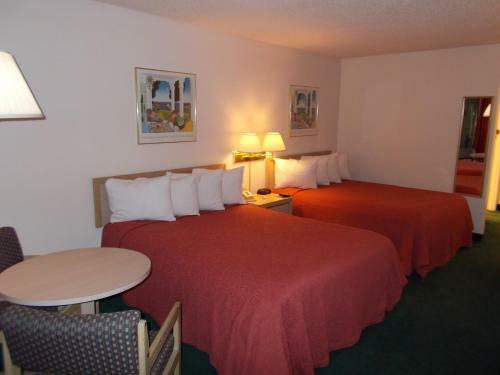 Spread over three floors the Best Western has 91 rooms with free Wi-Fi and TVs with premium cable channels. Free Internet,Outdoor Pool, Non Smoking Rooms. Currently as low as $98.40/night! Freebies from continental breakfast to Wi-Fi access abound at the lakeside Cerulean Hotel where the rates are also very reasonable. Pets are welcome at the two-story Cerulean Hotel so don't hesitate to bring yours along for the ride. Swimming Pool,Outdoor Pool, Restaurant, Pets Allowed, Non Smoking Rooms. 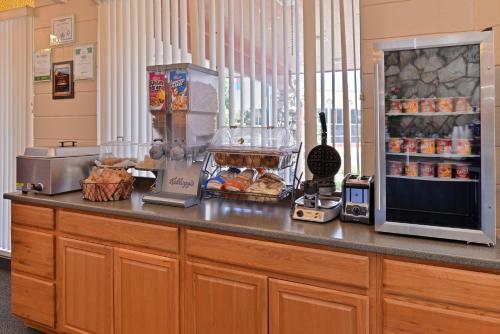 Guests feel at home and enjoy complimentary daily breakfast at the non-smoking Cimarron Inn Klamath Falls. The non-smoking exterior-corridor Cimarron Inn's 107 budget-friendly rooms are set on two floors. Free Internet,Outdoor Pool, Pets Allowed, Non Smoking Rooms. 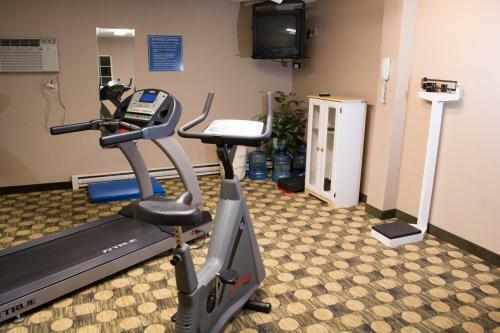 A gorgeous indoor pool and hot tub hot breakfast buffet and speedy internet access are all on the house at the Comfort Inn & Suites Klamath Falls. Set back from the street the Comfort Inn & Suites keeps the traffic noise at bay. Free Internet, Indoor Pool, Non Smoking Rooms. 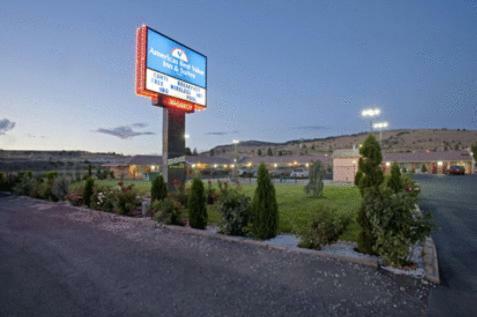 A budget-friendly price free breakfast and complimentary high-speed internet access make the Days Inn Klamath Falls appealing to our guests. The two-story Days Inn charges a nightly fee when you bring along your four-legged family members. Free Internet, Swimming Pool,Outdoor Pool, Free Breakfast, Restaurant, Pets Allowed, Non Smoking Rooms. Barbecue facilities and a bocce ball court are featured at this motel. Rooms offer free Wi-Fi. 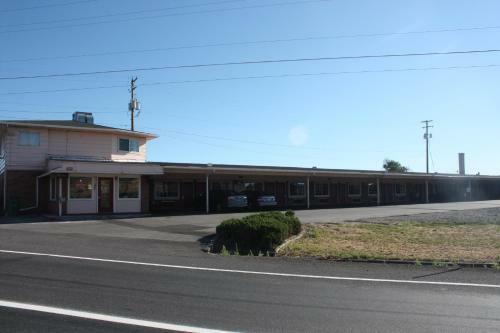 Upper Klamath Lake is 15 minutes' drive away.Cable TV is available in all guest rooms at the Golden West Motel. A microwave and small fridge are also provided. Free Internet, Pets Allowed, Non Smoking Rooms. Currently as low as $122.00/night! Offering free WiFi and city views Historic House Walk Downtown is an accommodation set in Klamath Falls. The holiday home is in an area where guests can engage in activities such as fishing and tennis. Non Smoking Rooms. Currently as low as $261.00/night! 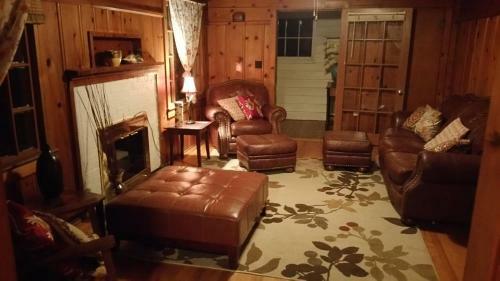 Historic Smarthouse - Charming Comfy King is set in Klamath Falls. Guests staying at this holiday home have access to free WiFi.The holiday home features 1 bedroom a living room and a kitchen with a dining area. A flat-screen TV is provided. Non Smoking Rooms. 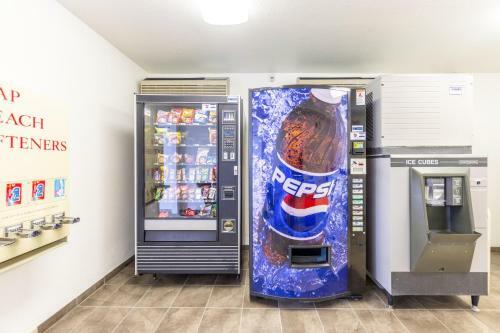 A bright and airy atmosphere and freebies ranging from Wi-Fi access to hot breakfast make the non-smoking Holiday Inn Express Hotel & Suites Klamath Falls Central one of the area's most popular hotels among our guests. Free Internet, Indoor Pool, Free Breakfast, Non Smoking Rooms. 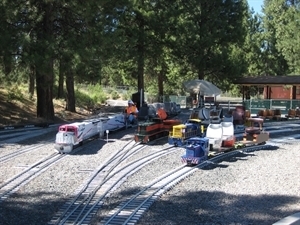 Ride on trains The Klamath and Western railroad leases approximately two miles of 7-1/2" gauge railroad from neighbor Train Mountain to provide FREE train rides to the public. Our guests make the most of the free Wi-Fi low-priced rooms and close-to-it-all location offered by the Majestic Inn & Suites Klamath Falls. The Majestic Inn has 17 budget rooms in a classic one-story motel layout. Free Internet, Pets Allowed, Non Smoking Rooms. 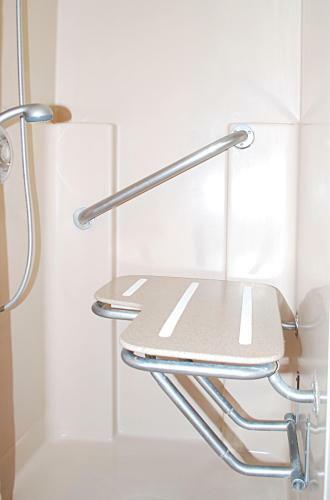 Comfy accommodations complimentary continental breakfast and free Wi-Fi are welcome amenities for our guests staying at the Maverick Motel conveniently located downtown Klamath Falls. Free Internet, Pets Allowed, Non Smoking Rooms. Our guests find extras like an airport shuttle and free hot breakfast at the non-smoking Microtel Inn & Suites Klamath Falls. At the three-story Microtel pillowtop mattresses covered with soft-to-the-touch linens lull you to sleep in no time.Outdoor Pool, Free Breakfast, Non Smoking Rooms. Featuring a seasonal outdoor pool this motel is 1.3 miles from Klamath Falls International Airport in Klamath Falls Oregon. All rooms include cable TV with extended channels. 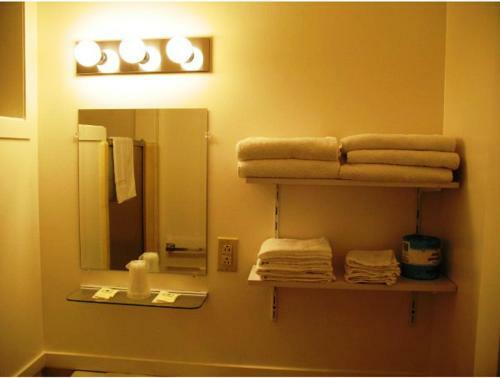 A launderette is located on site.Outdoor Pool, Pets Allowed, Non Smoking Rooms. Free Wi-Fi a seasonal outdoor pool and a U.S.-97 location on Upper Klamath Lake are some of the reasons our guests stop off at Oregon Motel 8 and RV Park. The Oregon Motel 8 has an RV park and 29 low-priced rooms in a one-floor motel building with exterior corridors. Free Internet,Outdoor Pool, Pets Allowed, Non Smoking Rooms. The indoor pool free Wi-Fi and breakfast and setting near Kiger Stadium climb high on the list of fab features at the Quality Inn Klamath Falls. Indoor Pool, Non Smoking Rooms. Situated in Rocky Point Rocky Point Resort features air-conditioned rooms with free WiFi.Selected rooms will provide you with a kitchenette with a microwave and a fridge.The resort offers a sun terrace.Klamath Falls is 38 km from Rocky Point Resort. Non Smoking Rooms.